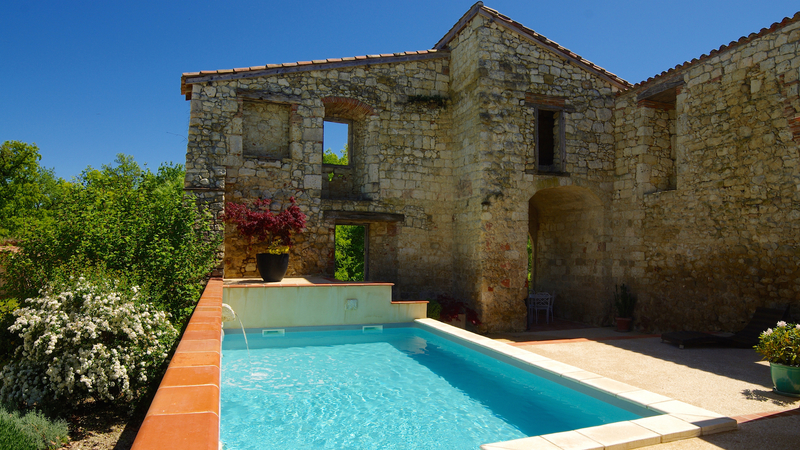 The walls of the ancient castle are home to the heated pool and the relaxing area with its jacuzzi and infrared sauna – all you need to escape the everyday routine at the Domaine de Saussignac. 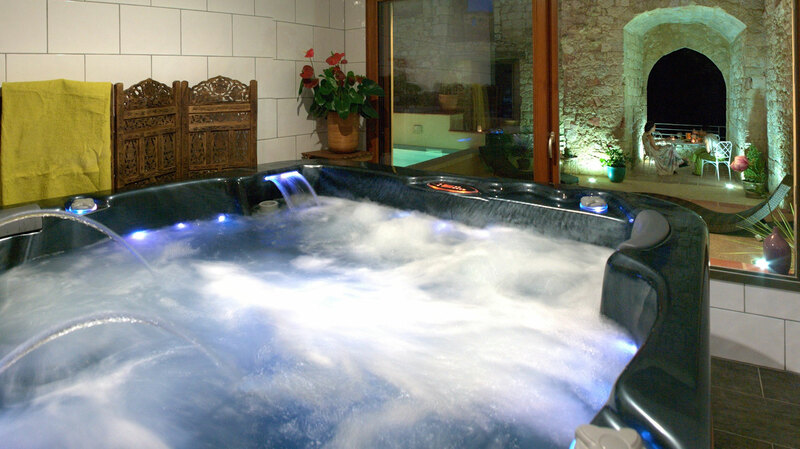 The jacuzzi is designed for up to 6, and offers a view of the XIIIth century restaured arch. Let yourself relax and feel how easy it is to move around. Loosen up your muscles and see how the soreness fades away. The infrared sauna offers the benefits of a sauna, heating your body from the inside out rather than the air. A session lasts about 40 minutes and stimulates the elimination of fats and toxins. To perfect this relaxing time, a licensed massage therapist offers a wide array of skin and body care and can come to the Domain by appointment – her contact information are available on simple request. 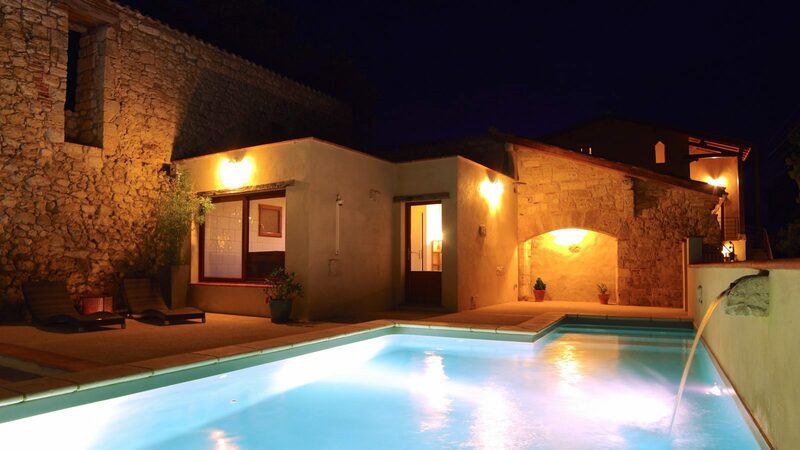 The heated pool, secured by the walls of the renovated castle, will let you relax or have fun with complete peace of mind. 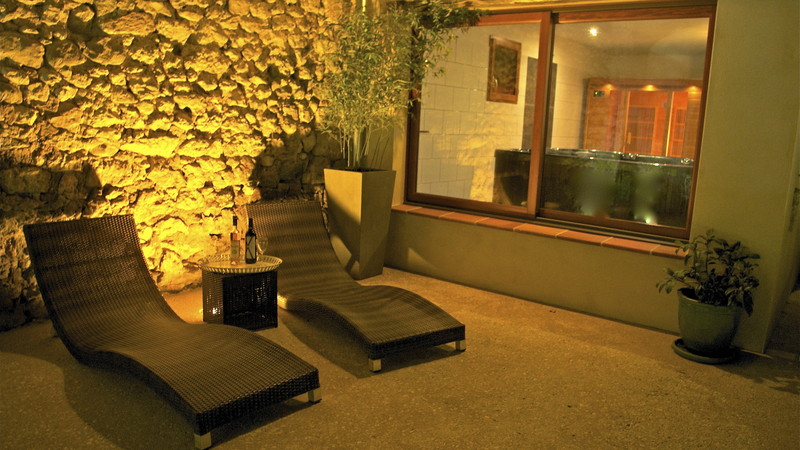 You can enjoy an unlimited access to the relaxing area during the day. The pool is heated from May 1st to October 1st, but remains accessible throughout the year. The pool and relaxing area maintenance is cared for daily, so you can fully enjoy your peaceful holidays.